I spent a couple of days in Eastbourne this week to visit family and meet my new baby cousin/soon to be Godson. Quite a few members of my family live in Polegate, just outside Eastbourne. They have a small High Street with a couple of cafes and recently introduced Costa. 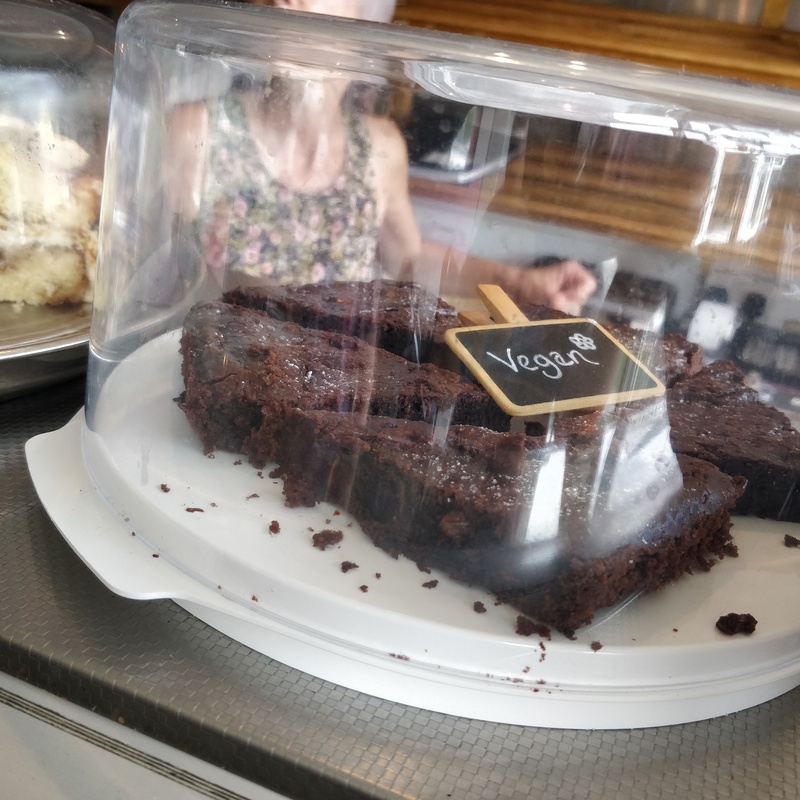 My Cousin and I stopped in at Sarah’s Coffee and Cakes and I was pleasantly surprised they had a sign stating they did dairy free cakes on Wednesday and Thursday. I of course was hoping these were also egg free making them vegan and my hopes were confirmed when I saw these. On Friday we popped into town to meet with some of my other Cousins and stopped in Urban Ground another independent for a drink. 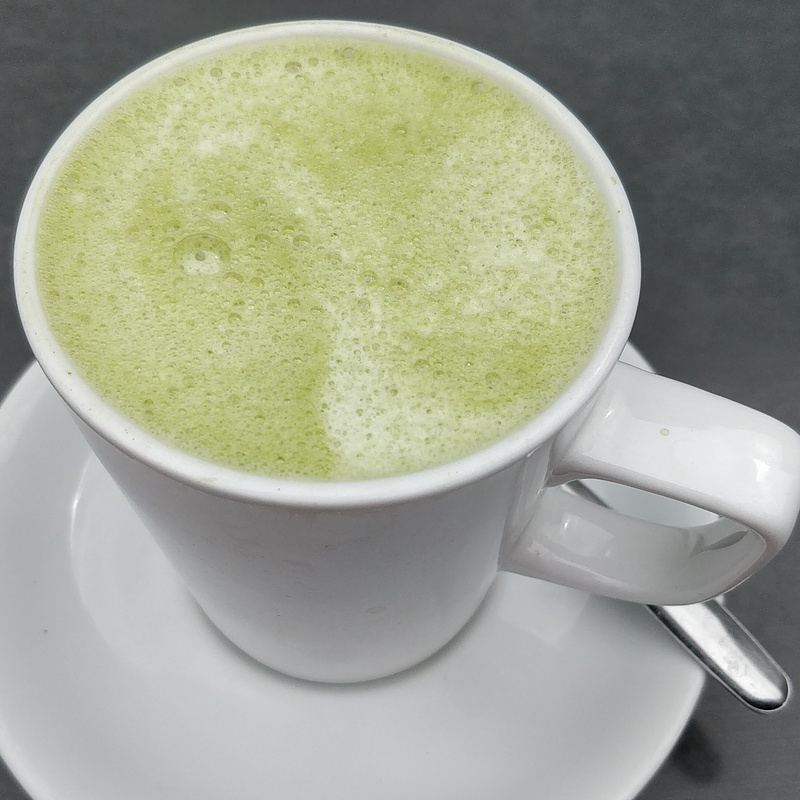 I had my fave matcha latte (with soya milk). I also saw they did avocado toast on their menu. Looking at their website they also do dairy free cakes but I didn’t notice these clearly marked when I was there. We stopped at Oh My Goodness in the Enterprise centre for lunch, which I have previously reviewed here. 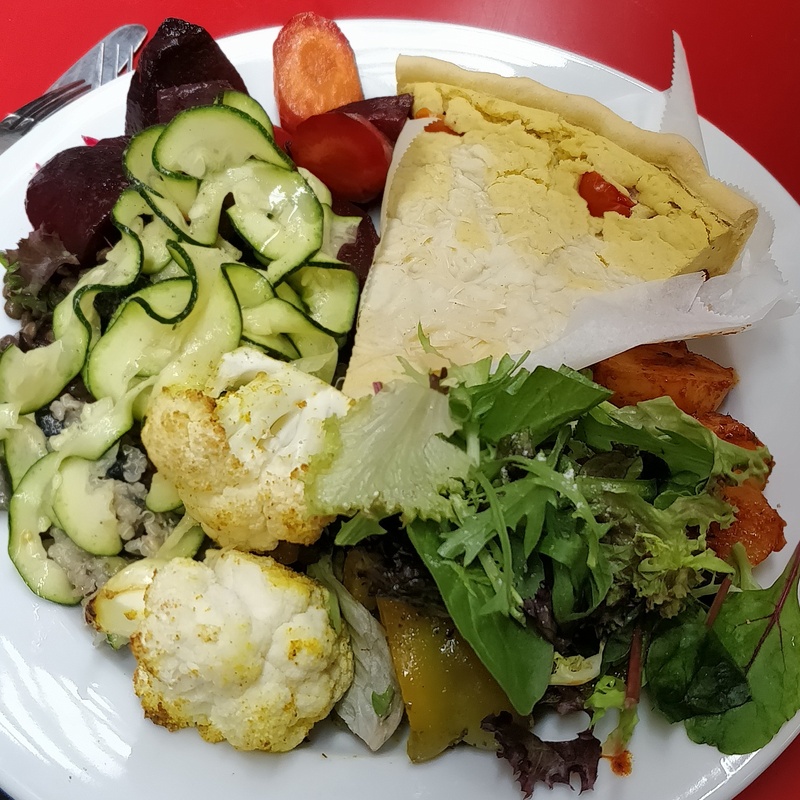 I went for the quiche and the salad, it was all really great and very filling, although I would have liked the quiche to have been warmed up or at least room temperature rather than refrigerated cold, but i understand that can be difficult to do. 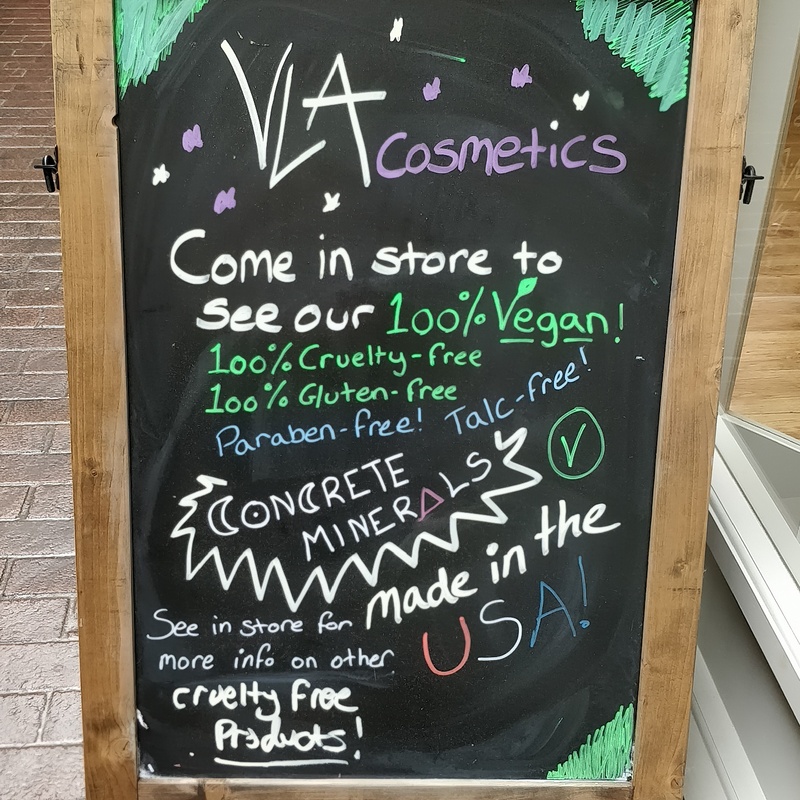 Next door was a makeup store with this sign outside, which lead me to believe it was completely vegan. However they were only referring to the brand “concrete minerals”. When I spoke to the owner they said they were getting a lot more cruelty free brands in the next couple of weeks, so check it out if you’re in the area. I did however manage to get some E.L.F. eyeliner in Superdrug. 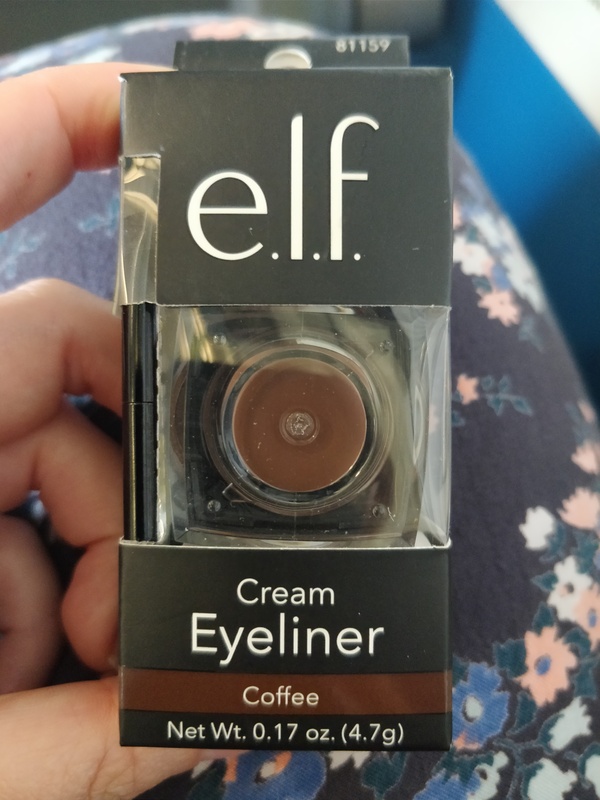 I got the cream eyeliner in coffee which comes with a little brush to apply it with. I’m well versed in applying liquid eyeliner but I was after one of the pen type ones but they only had those in black or “very black” and as I’m quite fair I prefer to wear brown. It went on really easily and stayed in place all day. 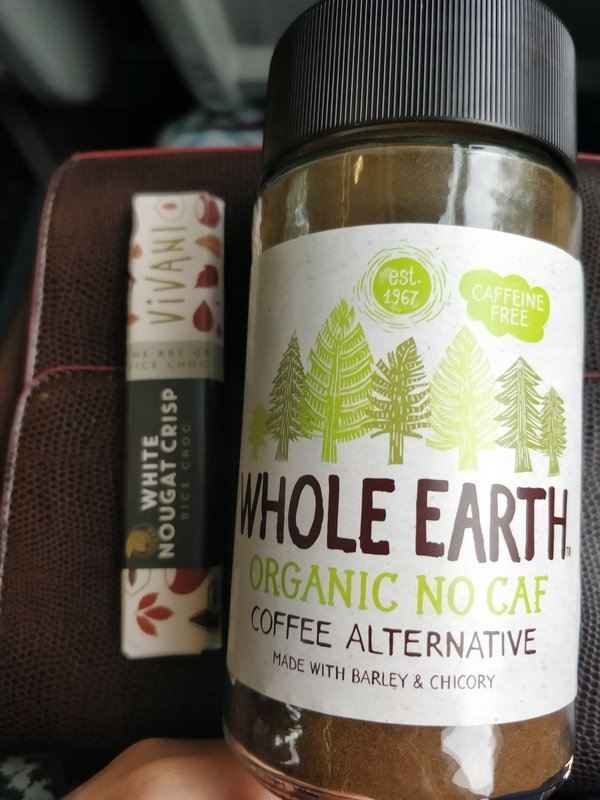 We stopped in at Sunny Foods a health food shop and I picked up one of my fave chocolate bars Vivani white nougat crisp and a coffee alternative made from barley and chicory. The store is quite big and if I lived nearby I would definitely had bought more! 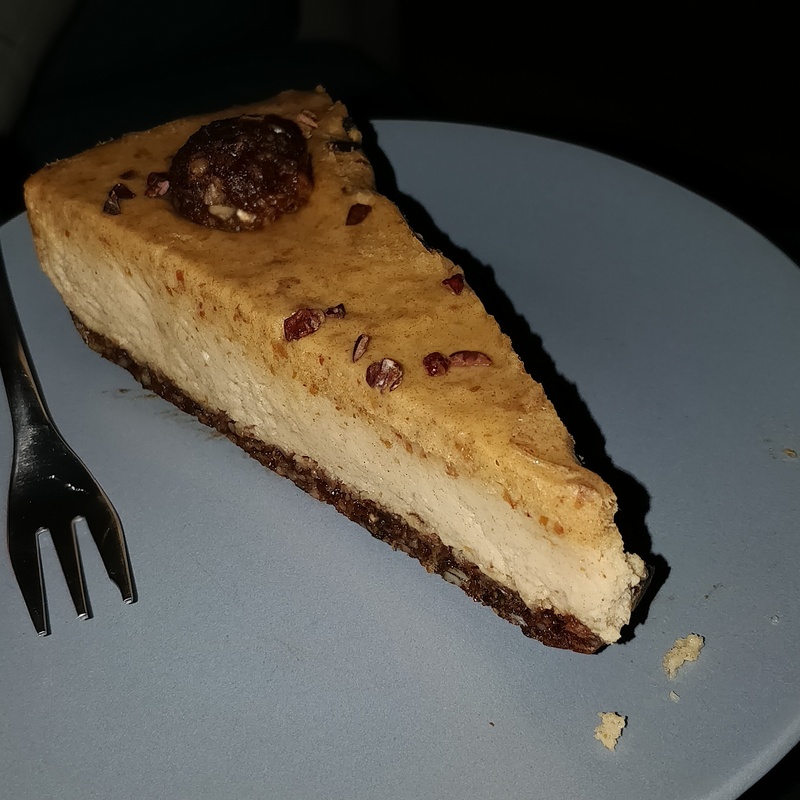 I also bought a raw cheesecake in Oh My Goodness but I was way to full from lunch to have it then so I saved it until the evening. It was a lovely treat and I enjoyed pretending I was being saintly! Are you a vegan living in the Eastbourne area? Do you have any recommendations for me for my next visit? Let me know in the comments below. Interview with long time vegan Olive! Sorry for the hiatus. 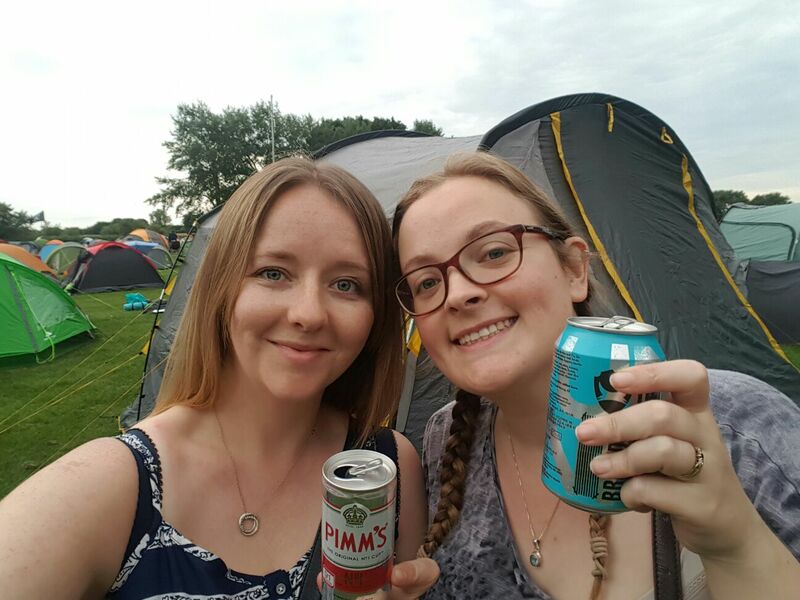 I was feeling a little uninspired and had lost my blogging mojo but after a weekend away at the Vegan Campout I am back and ready to roll! I celebrated my 5th Vegananniversary in May. 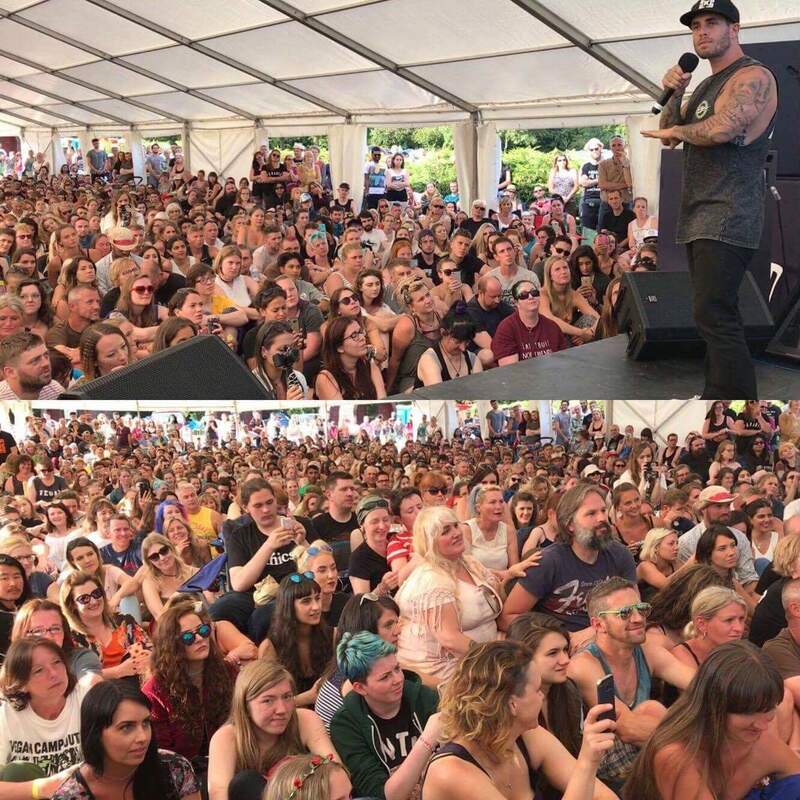 I was really happy to have met this milestone and have really seen the vegan landscape change in he UK over the last 5 years. It really is easier than ever to become vegan with all the information available on Youtube and the documentaries on Netflix (I’m sure someone high up there has a vegan agenda!) and chain restaurants falling over themselves it seems to provide vegan options and menus. I wanted to get a perspective from a long term vegan who didn’t have the tools we have today when they decided to go vegan so I asked if I could interview my “twitter friend” Olive. 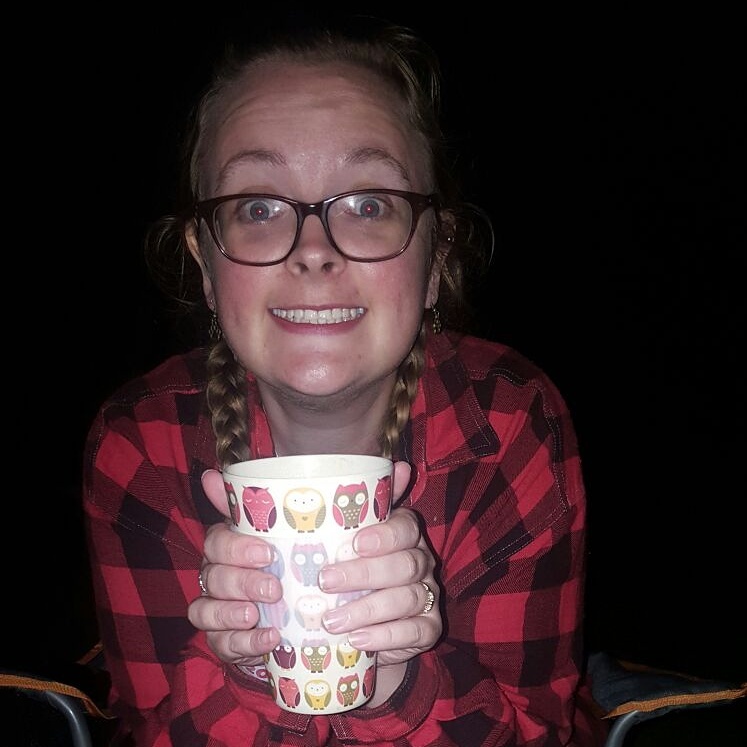 Olive lives in the North of England and provides recipes and restaurant reviews on her blog http://veganolive1.blogspot.co.uk/. 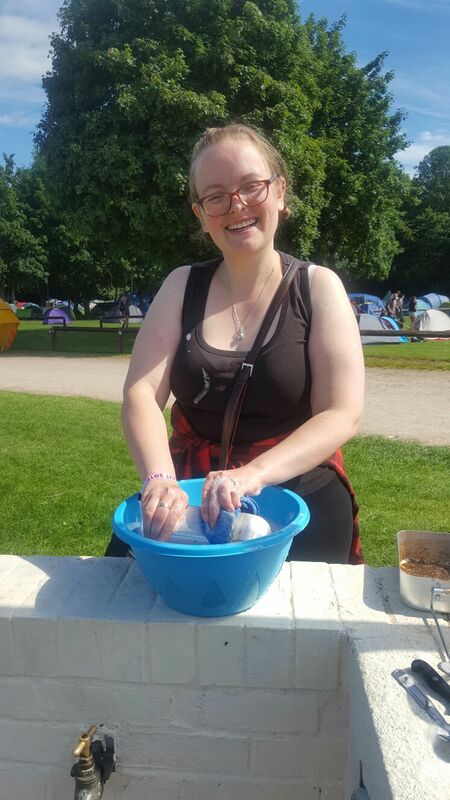 Olive also loves a good cruise, so if you ever wondered how to go about planning your cruise when you are vegan she is the lady to answer your questions! She also contacts lots of companies to find out their vegan products and to challenge them to provide more vegan options. I know coffee shops are one of her bugbears and she will be on at the big players to provide lunch and snack options suitable for vegans. She also loves a good glass of wine so any restaurant or bar with a dedicated vegan wine list will get the thumbs up from her! She is on twitter and instagram as veganolive1. What made you decide to first go vegan? I did not go vegan initially but vegetarian in 1986 after watching a TV documentary about BSE (Bovine Spongiform Encephalopathy) also known as Mad Cow Disease which originated due to dead animals being used to make cow feed, which horrified me as cows are vegetarian. I stopped eating red meat initially which gradually led to omitting all flesh including fish from my diet. I then read about the milk and egg industry, which made me feel guilty and sitting one day eating a boiled egg, dipping in my toast soldier, nearly gagged and had to throw it away. I have been vegan ever since. I was the biggest meat eater you could imagine. I cringe thinking about what I used to eat. My family was into meat and fish, so big Sunday roasts, lots of chicken, steaks, salmon, offal, tripe, black pudding, cow heel, my mum cooked her own tongues and made brawn, which I find quite revolting now. What sort of information did you have access to at the time? There was not much information about to be honest, especially where I lived at the time in a rural area, apart from The Vegan Society, who I signed up for as a life long vegan at the time such was my commitment. There was no internet or social media, like there is today and I did not know any other vegans. I would look forward to every new edition of The Vegan Society magazine coming through my letterbox. 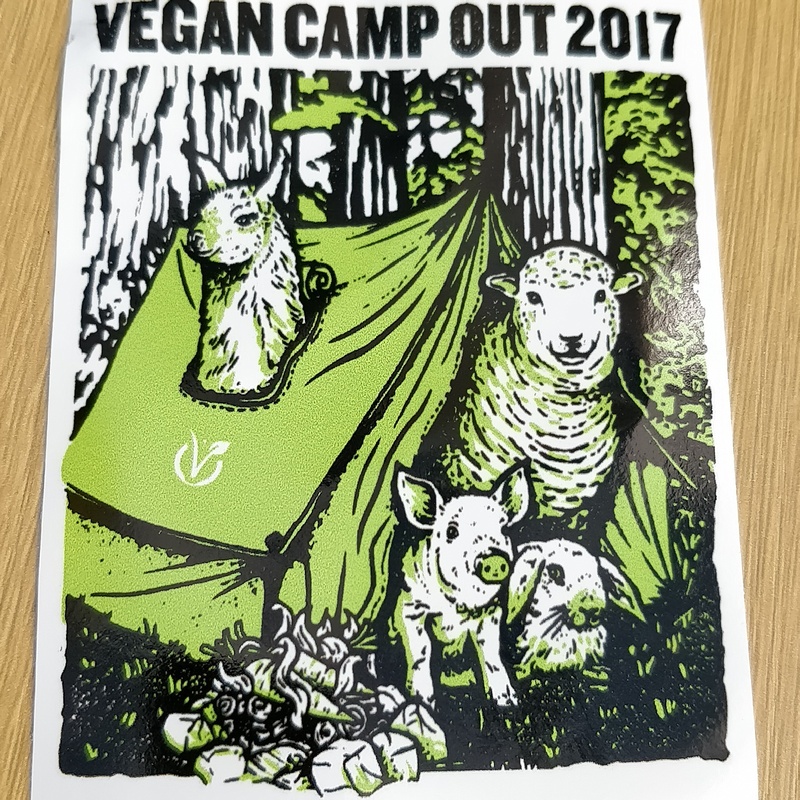 Anyone interested can find backdated editions of the magazine here https://issuu.com/vegan_society/docs/ . I remember when the Vegan Society published The Animal Free Shopper, it became my bible, it was a mine of information, like ingredients to avoid when shopping, places to dine out or buy vegan products in the UK and it listed hundreds of products suitable for vegans, such as cosmetics, food and household products etc. I purchased every edition and it went everywhere with me and I would refer to it all the time and take it with me travelling on holiday. I remember going somewhere (can’t remember where) and finding a vegetarian place catering for vegans and I was ecstatic. 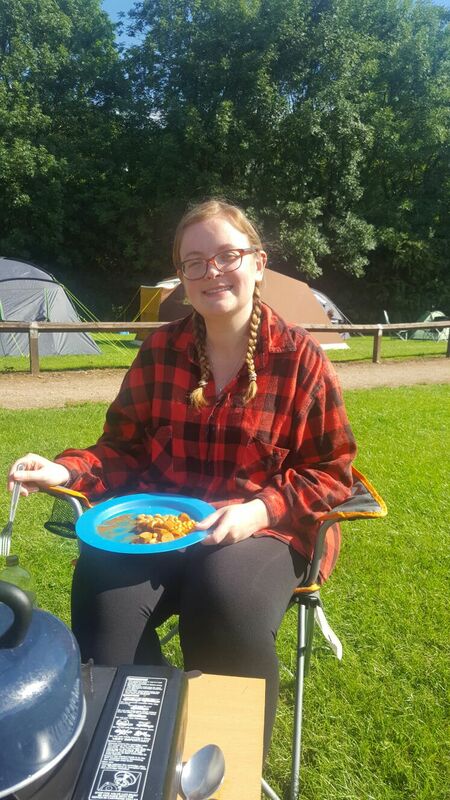 I’m afraid my veganism did not go down well with my family, in fact they thought I had gone completely mad, it was a phase, I was attention seeking, and that it would not last and my mum in particular found it very difficult to accept my decision or to invite me round for something to eat. I know this is a question we vegans get all the time, but what did you actually eat back then? There weren’t the products like now obviously. This question has made me really think, trying to think back so far and makes me realise how far things have come. I used to make sandwiches with vegetable pates, either Granose or Tartex if I recall, which came in a tube and were great for travelling or peanut butter and Marmite, or just Marmite. I liked Realeat burgers and sausages, and Goodlife nut cutlets and Cauldron tofu. I also loved tinned ratatouille, which I would eat on baked potatoes or rice. I did however make a lot of things from scratch, like curries, chillies and pasta dishes using Vecon vegetable stock. I found a small co-operative near where I lived who purchased from Suma Wholefoods so I would stock up on things I could not buy locally. The margarine I used was Vitaquell or Suma and there was a frozen dessert called Vive, though it cannot be a particularly memorable product, as that is as much as I can remember. I would refer back to The Animal Free Shopper to find out which bread, cakes and biscuits etc were vegan, that little book really was a life saver. 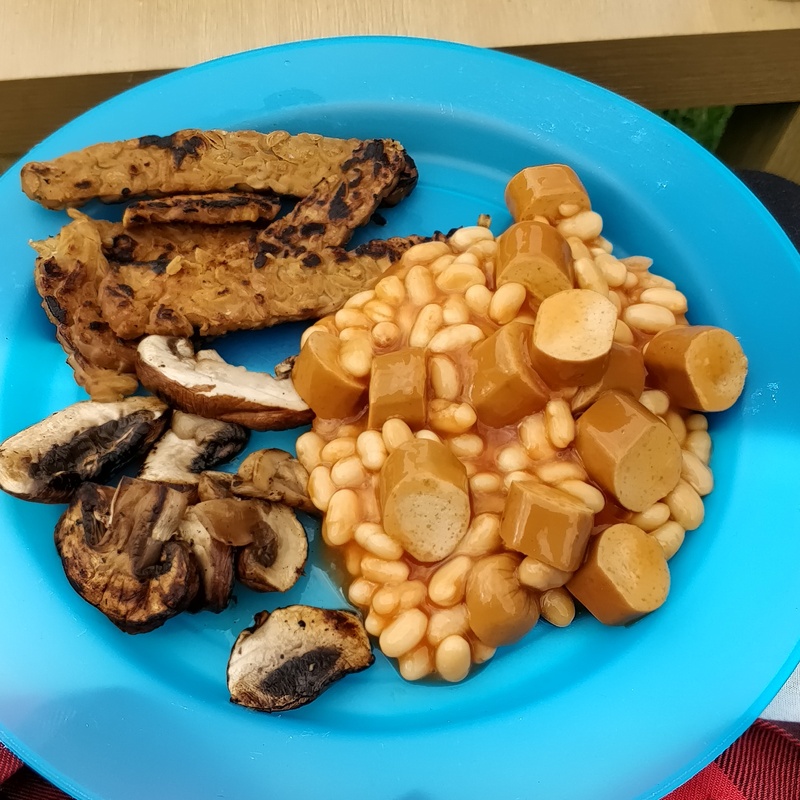 I used to eat a lot of baked beans and other beans and a lot of soya which I think has led to my allergies in later life. Also until The Animal Free Shopper became available (can’t remember when the first edition was published) I would ring companies to ask about ingredients but also wrote loads of letters, as there was no email. I remember writing to Andrew Whitley who started the Village Bakery in Melmerby to ask which of their breads were vegan, I used to eat a lot of their bread or make my own. I did of course eat masses of vegetables and fruits, nuts and seeds, as I still do today. What were the first specially vegan produced products you tried and what did you think of them? To be honest I actually did not like soya milk at first, or soya desserts, I had to persevere especially with the soya milk. I also found vegan cheese (made by Plamil called Veeze) not to my taste, however I had never been a big cheese lover, so that is maybe why. In the early days of the Internet was there much of a vegan community online or has that only been since the onset of social media? I was not aware of any online vegan community in the early days and my first interaction with other vegans was when I joined Twitter in 2014. Even now I have no vegan family members, friends or acquaintances, only those online. What is your reaction to the recent increase in vegan exposure and promotion? I think it’s changed massively in the five years I have been vegan so I can’t imagine what it would be like for you! Overjoyed as the increase in both has been HUGE…veganism was slowly creeping along for years, we were still considered radical, but small things started happening, which are growing into what I believe will be a wrecking ball in the future. The birth of the internet opened the gates for people to access information and social media has been a real driving force, its where I find out so much information. Veganism is now accepted as a way of life, to be respected as one’s religious beliefs are and is accelerating fast. Who knows what will happen in the future. and lastly, what advice would you give to anyone thinking of going vegan? Today it is has never been easier, lots of resources to find out information, The Vegan Society, documentaries like Cowspiracy and Earthlings. Social media which has been a mine of information, even for myself, I have learned so much since joining Twitter. Don’t think of the negatives, like how can I manage without cheese, there are lots of alternatives or worry about dining out, restaurants are changing at a fast pace as to vegan offerings. You may have issues within your family unit and in your social group, who may not understand your decision, I found this particularly difficult, but you have to do what you believe in. The world is changing regarding animal welfare, food production, environmental issues, climate change, a vegan lifestyle is the only way to alleviate and stop the cruelty of animals and destruction of our planet. You may be one person on your own, but you are part of a bigger movement, that will change the future. As the recent documentary Carnage depicted, future generations will look back in horror at the meat eating generations before them. 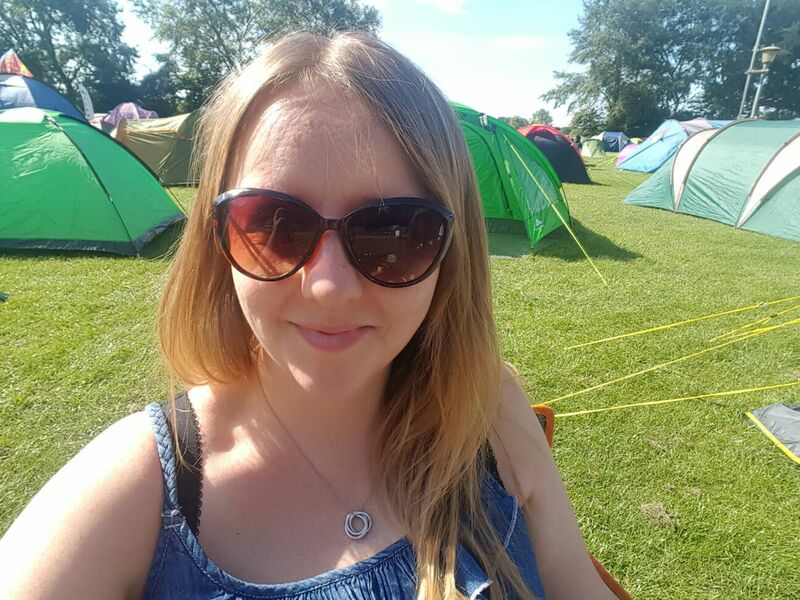 A huge thanks to Olive to taking part in this interview!